For more than 30 years, Cornell's Team Sapsucker has been doing Big Days to raise money for conservation. We've had some great times, from our awesome 294 species run in Texas to last year's El Gigante that combined Arizona and California for 275 species. Other impressive totals and competitions we may prefer to forget (Andrew is leading Marshall 2 to 1 for most flat tires while driving on the Lab Big Days). The Cornell Lab of Ornithology's Big Day efforts have also provided an ideal way for our student teams, the Redheads, to fundraise for student research as they participate in the World Series of Birding. Big Days are a big deal for us - raising more than a million dollars for conservation in the last three years alone. But what's next? With the Cornell Lab's centennial in 2015, we have decided to make some big changes to the Big Day. Most important of these is to expand the team -- drastically -- this year. For 2015 we invite everyone around the world to join us in an attempt to see as many species as possible on a single calendar day. 3000 species? 4000? More? With a little planning and outreach, could we document half the species in the world? The success of the project will depend on all of you and how many others you can help get excited about this single day celebration of bird diversity. 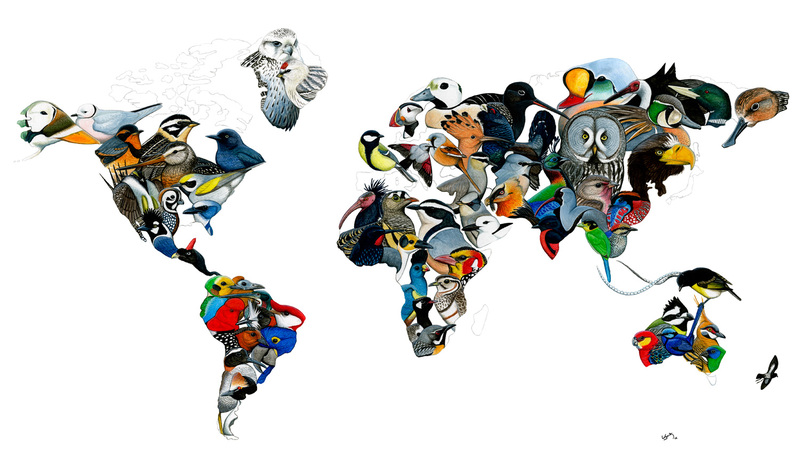 Mark your calendars for 9 May 2015 for the first ever Global Big Day on International Migratory Bird Day and start spreading the word in your area. With the great numbers from the GBBC, we hope Dutch birders can get similarly excited for another exciting one-day birding event. Although we'll all be members of the global team -- Team eBird -- rest assured that Team Sapsucker will stay intact. This year we will head to Panama to spend our day birding along the Panama Canal and nearby areas. We'll be joined by a close friend of ours, Carlos Bethancourt, from the Canopy Tower, who'll help us track down trickier Panama endemics like Stripe-cheeked Woodpecker and Yellow-green Tyrannulet (we can dare to dream, right?). The Canopy Tower has also graciously offered to provide a base camp and to cover our expenses in Panama. The Redheads will return to New Jersey for the World Series of Birding, where they may even run into some of you. Brian Sullivan will be sitting out this year, instead focusing on coordinating global efforts from his home in California. We hope to work with you to engage people to go out and try to find birds on 9 May. This year is a little different from past Big Days, because we are interested in the cumulative total from around the world. This means, if you are in Brazil there are 253 species that can't be found anywhere else. India 57; Australia 347; Puerto Rico 16; Hawaii 33; California 2. Part of this effort will be to organize people to go and look for particular species to see what we can find together. Who will get Island Scrub-Jay? How about Gunnison Sage-Grouse? Or Scarlet-banded Barbet? But even at more local scales, try setting target numbers for your state or county and let's try to see how high your local teams can push the total. Our hope is that miniature competitions will develop - who will record more species, Brazil or Argentina? New York or Massachusetts? Monterey County or San Diego County? The main differences between this and other Big Days, is that we are interested in the number of species we can see by working together - that is, after all, the idea behind eBird. This year, we are challenging ourselves to raise $500,000 to support conservation work at the Cornell Lab of Ornithology, including eBird. In the long run, we hope to develop this event as a global fundraiser for all our partners working on bird conservation. In the same way the Cornell Lab fundraises, we hope you can use this event to help develop a culture of philanthropy among your audiences. In this first year, we are focusing on outreach and building the overall species list, but we'd like to explore local fundraising with you in the future. We will be using the hashtag #GlobalBigDay and hope you will use it in discussing this on social media. We recognize that this is not the ideal date for birding in India and other southern areas around the world, but we needed to start somewhere. Please let us know if you have any questions. 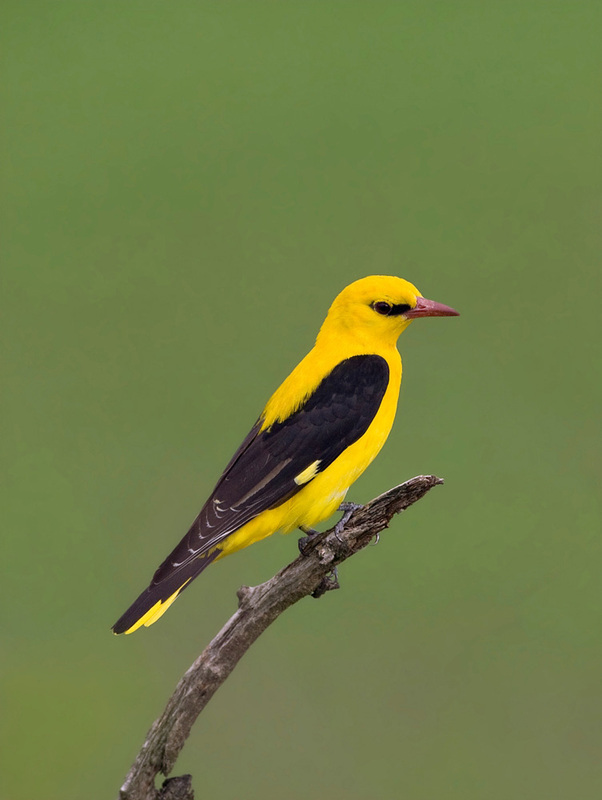 We hope you will be able to mobilize birders from all over The Netherlands to get out for the Global Big Day on 9 May 2015. Please feel to pass this on to others so they can mark their calendars! De resultaten van de eerste Global Big Day zijn hier te vinden: http://ebird.org/ebird/gl... - in totaal zijn er door 13.000+ waarnemers meer dan 6000 soorten gezien!